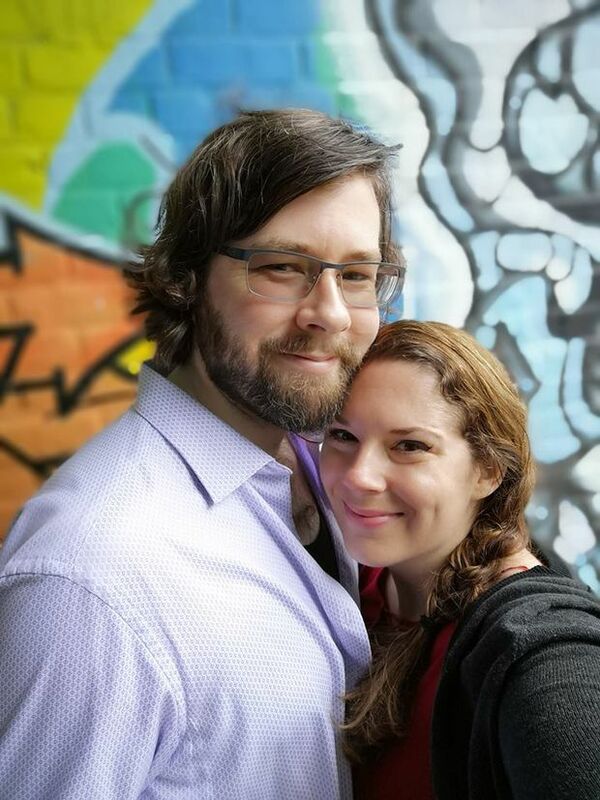 Josh Keep: 35, writer; Michelle Keep: 34, writer. Josh: In 2000, I had just gotten my first computer ever and was up late one night messing around. I noticed AOL instant messenger. I was going to delete it but then I thought, I’m bored, I can’t sleep, maybe I should just find someone and strike up a conversation. Michelle: That person was me. He had searched for people interested in books. Josh: It was my first time chatting with a stranger online. Just one of those weird impulses. Michelle: I was used to connecting with random people on the internet, but there was something different about Josh from the start. We chatted all night and then the night after. Eventually, we took our conversation to the phone. Josh: A year later, I graduated and used all the money I had to fly to Ontario to meet the girl I love. A year after that, Michelle moved to Newfoundland. Michelle: Before we lived in the same place we would write love letters about what our life would be like when we were finally together. I guess that’s how the writing started. Josh: We were playing video games at the time, so would write stories about our characters. Michelle: When we stopped playing that video game, we created our own world and then in 2011 we were thinking about how we could turn it into a job and I found this article about self-publishing on Amazon, so that’s what we did. At first, it was something on the side and then, a few years later, we were on the Wall Street Journal’s bestseller list. Josh: Our pen name, Alexis Abbott, is something we started using to temper online harassment. My grandmother was Abbott, so it’s a tribute. I remember when I first met Michelle, I said – if my mom doesn’t like you, that’s okay, but if my grandmother doesn’t like you, that’s going to be a problem. Michelle: Writing romance novels together definitely keeps our relationship fresh. Josh likes to say, we get to fall in love over and over again. Josh: Our work process is very collaborative - we just build back and forth. If the two main characters are having a conversation, I’ll take over the male and she’ll be the lead female and the effect is a very organic interaction. Michelle: Our attempts at romance in real life tend to end in disaster. Recently, we took the day off to spend a romantic day relaxing and having a nice meal and then Josh crippled over in pain. He had kidney stones. I don’t think we’ve ever had a hero do that. Josh: With real-life romance, you have to take those comical interruptions in stride. We try to be spontaneous. No plot outlines. Editor’s note: An earlier version of this story incorrectly identified the couple as Josh Keeps and Michelle Keeps.